Our technologically advanced systems are able to machine the complex angles needed for these frameworks in order to produce a perfect passive fit of the prosthesis while providing high levels of strength and outstanding durability. Custom milled TI implant bar with premium over-denture: Complete pricing includes: Up to four (4) Implant Sites*. Includes: Custom milled TI bar substructure, 2 Locator ® attachments, one Hadar clip, articulation,analogs, soft tissue model, Implant technical fees and verification jig. 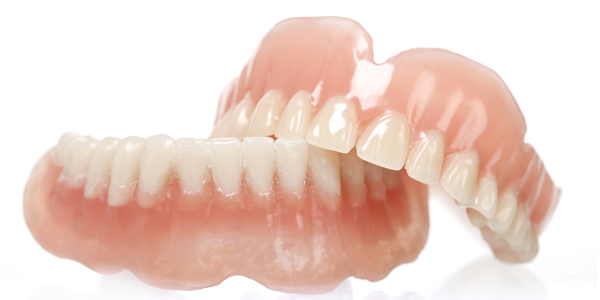 Premium Denture, with Ivoclar BlueLine™ teeth and high-impact resin base. 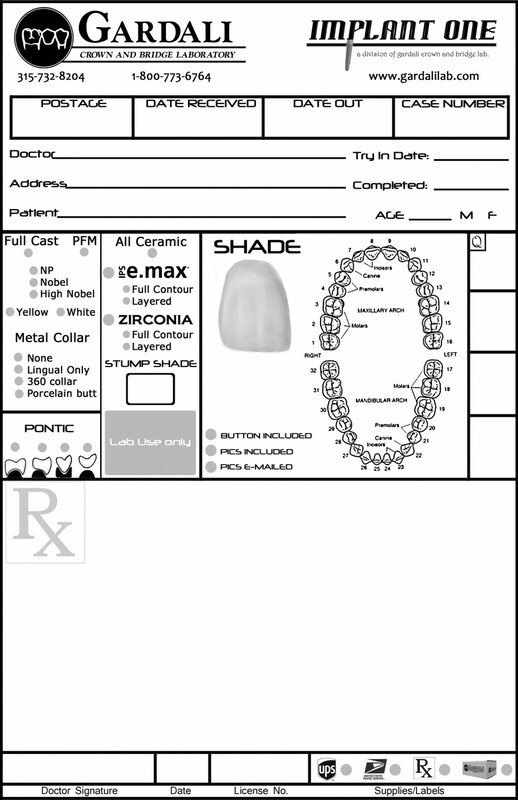 It is imperative to please include all surgeon’s letters with implant cases. With the multitude of implant components and providers this process can be difficult without the surgeon’s documentation. As part of our comprehensive service, our Implant-ONE™ team cross references all implant components ensuring a predictable and satisfactory result from case planning to final loading. Available in titanium & chrome-cobalt. GardaliCONSULT™ Information or case planning consultation?